HPD: Tell us about the Power Project program that you created and run. Lameka Bell: Sure! The Power Project is a minority girls mentoring group. We meet every Saturday for hockey practice, and every other Saturday for cross fit classes and new experiences. For example, we recently went on a few field trips to the Disney's studio to watch the taping of the show "I Didn't Do It". 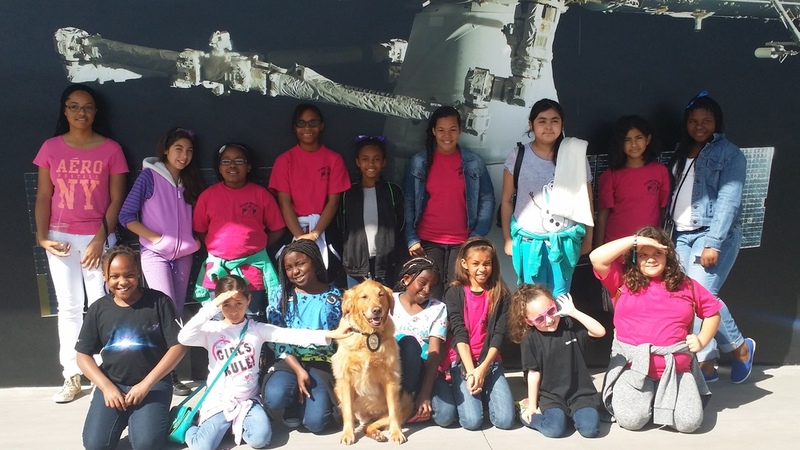 Last month toured SpaceX facility , and just this weekend the girls got to experience flying for the first time at the Hawthorne airport. We have taken the girls to a nice sit down lunch to practice etiquette, we learned how to bake cookies and cupcakes from scratch, and they learned to make dream boards. The girls also earn community service hours by helping at various events (such Relay for Life and the K-9 Dinner in May). We also have a female Gynecologist and her team coming to talk to the girls about their bodies and body changes. We also have a career day coming up with all women, so the girls get to meet professional women with different career choices. We also have three ice hockey female coaches who donate their time for our girls. We currently have 14 girls in our program and I have a waiting list of 9 for next season.